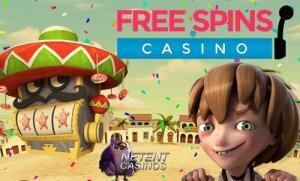 Usually, Free Spins Casino is giving away free spins for just one NetEnt slot, but today will be an exception with a choice between the Jack and the Beanstalk™ slot and the Spiñata Grande™ slot. 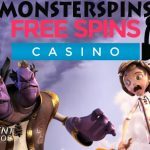 Besides, you won’t receive free spins, but Monsterspins which are a monstrous and way more attractive version of free spins and, therefore, highly recommended. Make sure you don’t miss out on your 25 Monsterspins for two of the most popular NetEnt slots around. It’s one of the best days of the week for those who like Free Spins, simply because Monsterspins are the best Free Spins you can ask for. The reason why is very clear, they are worth much more than Free Spins. One free spin is often worth around €0.10, but a Monster Spin is worth no less than €2. 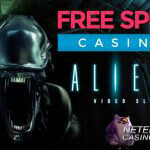 With 25 Monsterspins available to Free Spins Casino players today, an incredible €50 in Monsterspins can be collected for two of the most popular NetEnt slots. You can either choose to use your 25 Monsterspins for Mexican-themed Spiñata Grande™ slot or the fairytale-themed Jack and the Beanstalk™ slot. How to get your 25 Monsterspins? The excitement is growing fast when you’ll be able to play for free on two of the greatest NetEnt slots. Activating your 25 Monsterspins for either Spiñata Grande™ or Jack and the Beanstalk™ is pretty easy as a deposit is all that’s needed. Simply make a deposit of €100 or more today, Tuesday the 8th of November 2016, before midnight (CET) and your 25 Monsterspins will be added to your account automatically. They will be added instantly as well which means you can use your 25 Monsterspins straight away. 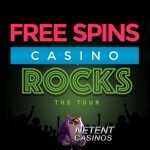 It’s up to you to pick the NetEnt slot of your choice as Free Spins Casino selected two exciting NetEnt slots for today’s Monsterspins Tuesday. To use your 25 Monsterspins of €2 each, just the Jack and the Beanstalk™ slot or the Spiñata Grande™ slot. Spiñata Grande™ or Jack and the Beanstalk™? Life as a spoiled player at Free Spins Casino looks so easy, but it’s not what it seems, you know. Yes, activating your 25 Monsterspins is easy, but what comes next should not be underestimated. Once your 25 Monsterspins are ready to use, it’s up to you as a player to make a tough choice, the one between the Spiñata Grande™ slot and the Jack and the Beanstalk™ slot. Not an easy choice, but let me help you out a bit so life at Free Spins Casino becomes as easy as it should be again. One’s about an English fairy tale while the other NetEnt slot brings you straight into a Mexican party. Pick Jack and the Beanstalk™ to find out if Jack manages to escape from the giants, being drawn into a fantasy world above the clouds? Voted Game of the Year 2015 by the iGaming industry, the Spiñata Grande™ slot is highly recommended. Besides, you’ll attend a true Mexican party including the familiar happy mariachi music. With a Return to Player of 96.3% and 96.84%, it’s hard to tell which video slot you should go for. The Spiñata Grande™ slot wins a small point here offering the highest RTP, but with 96.3% Jack and the Beanstalk™ isn’t far behind. Besides, it’s just an indication that could help to make a choice. Okey, maybe I’m that much of a help here as it’s going to be a draw if it comes to the slot features. Both NetEnt slots offer some incredible slot features.The featured Free Spins Treasure Collection in Jack and the Beanstalk™ truly portrays the story of Jack’s search for treasures in the land of giants. The Walking Wild brings innovation to the reels while you’ll also enjoy re-spins on all Wilds and Treasure Collection.The Spiñata Grande™ slot is a fun-filled game with its spinning piñatas and festive online slot features. There will be Colossal symbols, a Mini-Slot feature and Colossal Wild in Free Spins. With every symbol having a colossal version of either 2×2 or 3×3 symbols, winnings can be as big. In Free Spins a Colossal Wild will rumble the reels and whenever the Colossal Bonus symbol appears, it turns into an interesting Mini-Slot. It’s no surprise this video slot was voted Game of the year 2015. Not having any secrets for you, I have to inform that the above Monsterspins offer is only available to players who previously made at least one deposit. But, I wouldn’t bring up an offer like the Monsterspins offer today if I didn’t have something incredibly attractive for new players as well. Free Spins Casino got restyled and was transformed into a whole new online casino. The looks stayed, but the layout and structure of the site has changed completely. In a good way, of course. The site became 100% responsive allowing desktop webpages to be viewed in response to the size of the device a visitor is viewing with. Responsible for Free Spins Casino’s success in the past years, the unique concept of receiving free spins with every deposit survived the restyling. Few things did change, though, as Superspins and Monsterspins became available too while a welcome offer has been introduced. You can still opt for 10-999 free spins, but new are the 3-150 Superspins, and 5-100 Monsterspins. The differences between the three can be found in the value of each spin as Free Spins are worth €0,10 each, Super Spins €1,00 each while Monsterspins are worth €2,50 each. 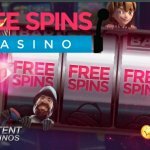 The best news is that life as a new player at Free Spins Casino became more attractive as this NetEnt Casino, for the first time since its establishment, introduced a welcome bonus making it even more attractive to join the largest club of free spins lovers. 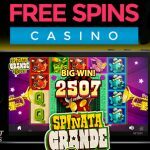 Enjoy the free spins happiness at Free Spins Casino by registering for an account at Free Spins Casino and deposit at least €25. You can make a choice between the above options directly and your Free Spins, Superspins or Monsterspins will be available immediately. Happy days!